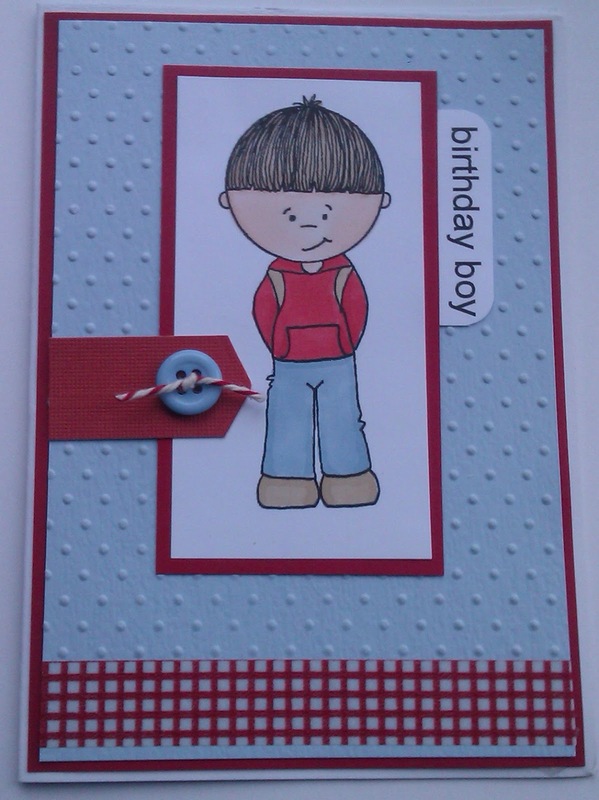 one happy little crafter: The one with my first FF DT cards! A very Happy New Year and best wishes to you all! Hope you've all had a lovely Christmas time, I cant believe how quickly the time has passed since my last post, we have been staying with my parents over Christmas and the New Year and have hardly had anytime to get near the pc, but Im back with you now! The first card, obviously, had to be a Forever Friends image, which I have cut and mounted using Go Kreate dies, the paper is from Papermania, the ribbon, pearls and slider are from my stash and the flowers are a Joycraft die. Second up, and I've used an image from one of our lovely sponsors - the digi garden - isnt he cute, he looks so much like my Cameron. I have used the trusty swiss dots folder together with a button and twine from my stash and gingham washi tape. Lisa well done on making the DT at FF I miay join in this month. 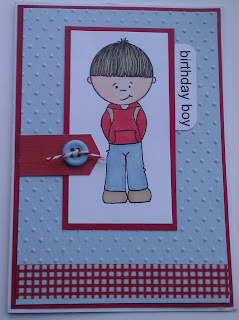 Hi Lisa, A huge well done for getting on the forever friends DT, Both of the cards are fab and the images are adorable.